A few weeks ago, John James, who was Revenue Commissioner for Governor Rudy Perpich, floated the idea in the Strib of an expanded general sales tax to replace the gas tax (28.5 cents a gallon, regardless of price, at the moment). Mr. James has been flogging the idea of an expanded sales tax for a long time. 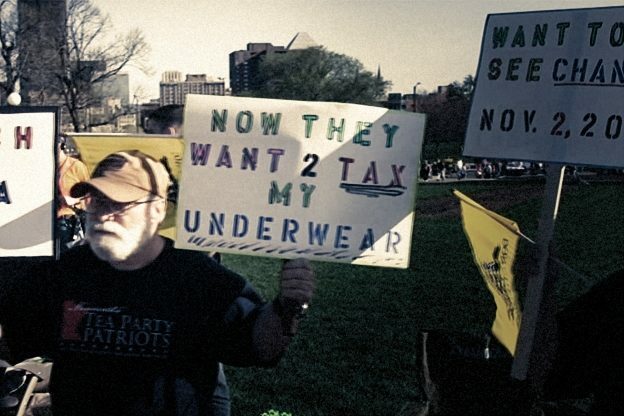 He even started a website, Sensible Tax and Fiscal Systems, in 2010. Peter Hutchinson is or was a sidekick, so that should tell you something. According to both the Strib op-ed piece, and the web site, James thinks we should extend the sales tax to food, clothing, and many services not presently taxed. Then, he says, we could lower the rate. And, apparently, we wouldn’t need a gas tax because there would be enough revenue from the expanded sales tax to pay for roads and bridge. Swell. Moreover, a One Minnesota goal suggests recognizing reality — Minnesota is a big state with a lot of driving needed in rural areas, and we all enjoy economic benefits from encouraging rural residents to visit urban areas and urban residents to go Up North regularly. See the USA in your Chevrolet! What would be the effect of using additional sales tax revenue for roads and bridges funding (and other things, too)? One thing to look at is where sales taxes come from now. You can find a spreadsheet here for the last year available, 2016, of sales and use taxes collected by county. These are numbers for the sales and use taxes collected on the law as it presently exists; the numbers would undoubtedly rise substantially if food, clothing, and services were included in the base as John James advocates. One additional note: sales taxes on motor vehicle purchases are not included; that tax revenue goes into the highway trust fund, as do some other transportation-related sales taxes. The state also issues general obligation bonds that are used for roads and bridges and uses general tax revenue for them on occasion. The conclusion you should draw from an examination of these numbers is that financing roads and bridges (the state share anyway, we do get a lot of federal money, too) through the sales tax would have the effect of shifting the cost of these things even more to the state’s Sugar Mommies and Daddies, especially Hennepin County. James complains about the inaccuracy of the gas tax as a user fee then recommends replacing it with a tax that bears no relation whatever to transportation. Eaters in Hennepin County would subsidize motorists in Greater Minnesota. Bizarre. 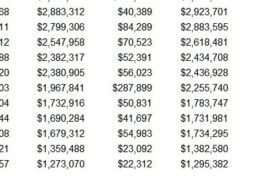 If you look at state income tax revenue, I think you will find a similar pattern to the to the sales tax figures. The cities are the economic engines that drive the state and have the tax base; it is understandable and unobjectionable to me that the result is a subsidy to Greater Minnesota. But the idea of taking a major area of expenditure by the state and shifting the cost of it to a regressive sales tax is ludicrous. The fact that some transportation users are finding ways to evade the gas tax is a sign that it does have the effect of discouraging the use of fossil fuels. I think this is good, even though I don’t own an electric car. (I have a 2007 Beetle with 34,000 miles on it; thanks for asking.) The time may come when we have to have some kind of miles-driven tax, but starting out by getting rid of the gas tax is heading in the wrong direction. Sheesh. Governor Walz has a good idea when he says we should raise the gas tax. He made a great choice in naming Margaret Anderson-Kelliher as his Transportation Commissioner. She was the Speaker of the Minnesota House the last time we raised the gas tax. She understand the issue very well. 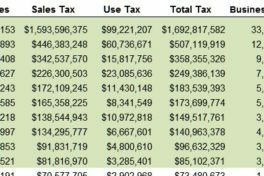 Update 1/21: If the state collects $1.7 billion in sales and use taxes from Hennepin County each year, that would, of course, come to $3.4 billion in a biennium. A $45 billion general fund budget number is bandied about, and we will use it here as a rule of thumb. $3.4 billion is about seven and a half percent of that. So much for dependent cities. Even Linda Runbeck can do that math. If you look at the links in the sidebar to this story, you’ll see, however, the feats of legerdemain employed by rural legislators to avoid transportation taxes.